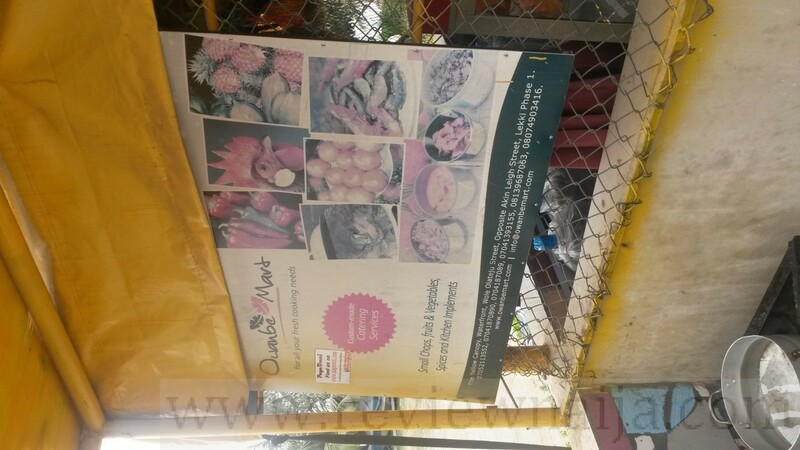 I’d read about Owanbe Mart on LivingInLekki, and we featured a post on Owanbe Mart here on ReviewNaija. 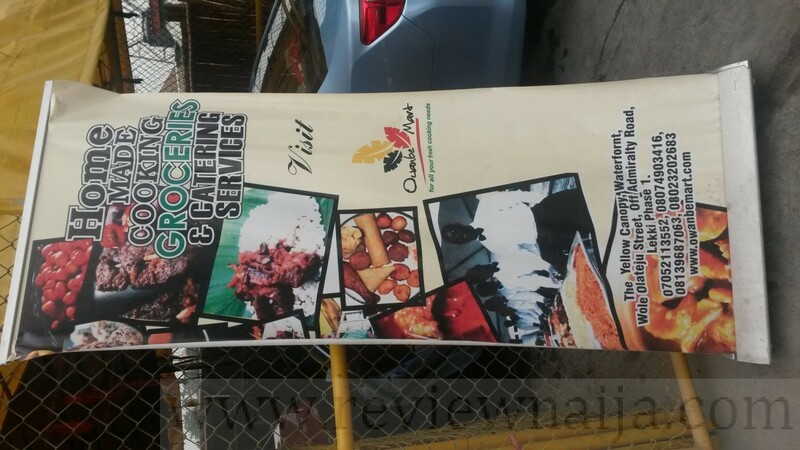 However, I hadn’t quite gathered that Owanbe Mart provides bespoke food services! So how did I find out? Well, I’d made a note to try out Owanbe Mart’s puff-puff, which is fried fresh but only available on Sundays. 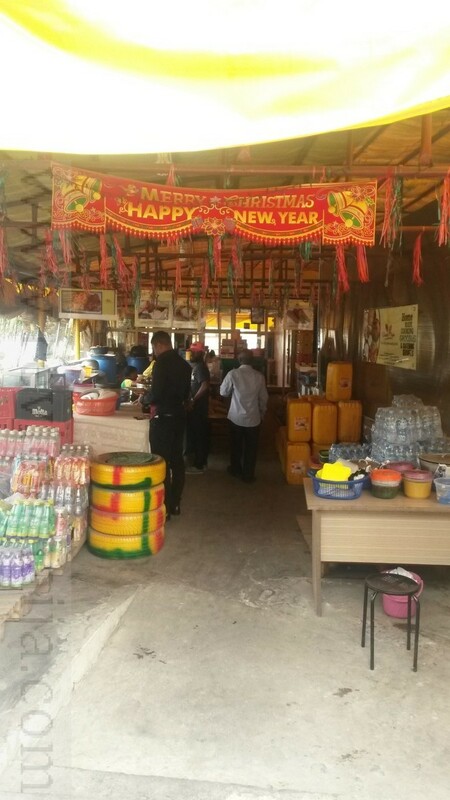 So 3 weeks ago, we decided to stop by Owanbe Mart after church. 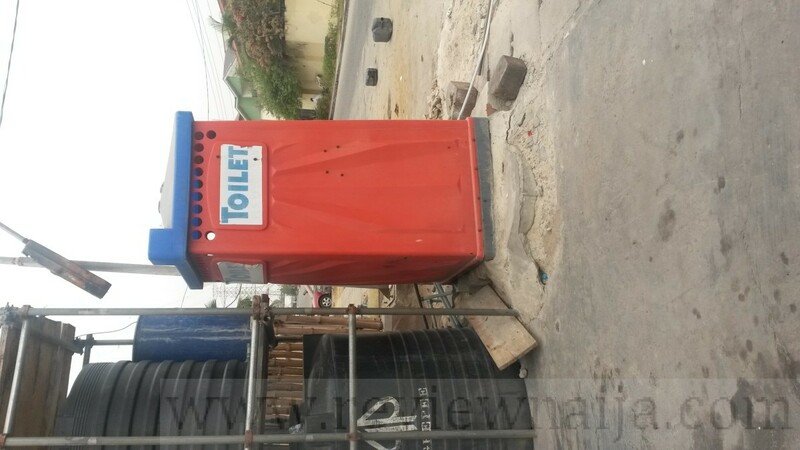 Location – It was a bit difficult for us to locate Owanbe Mart, but this was because we took a wrong turn and ended up having to circle around. Don’t be like us! 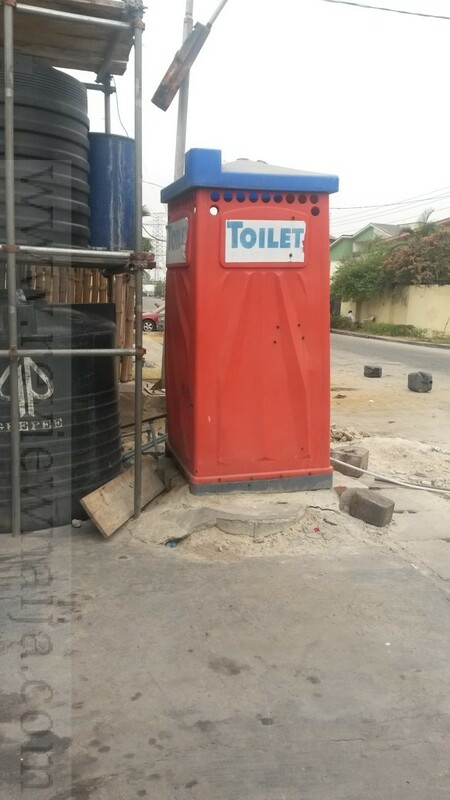 Save yourself some trouble and just go through the street right after Ice Cream Factory on Admiralty Way. Once on that street, Owanbe Mart shouldn’t be hard to miss! Ambiance – You know how I’d said Crest Lounge is like one step above a beer parlor? Well, Owanbe Mart is like one step above a buka. I say so because the space is organized and you don’t really see the food being prepared…unless it’s the puff-puff which is fried right at the entrance. There’s sitting space available right by the water. I thought this was really pretty, however, I didn’t feel safe sitting in this area because I wasn’t convinced the wood underneath was solid enough and there were flies everywhere! 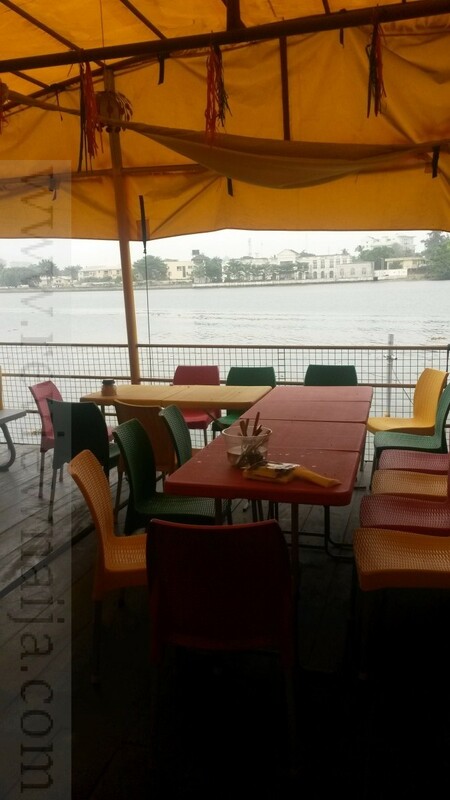 Outdoor Seating By The Water… spot the bowl of cutlery! Owanbe Mart also provides car washing services. I guess you could have your car washed while you eat? Mmmm. Service – I wasn’t too impressed with the service to be honest. The lady who attended to me wasn’t the most pleasant and she seemed a bit dismissive. I was trying to explain that I didn’t know what they offered so I didn’t know what to order. 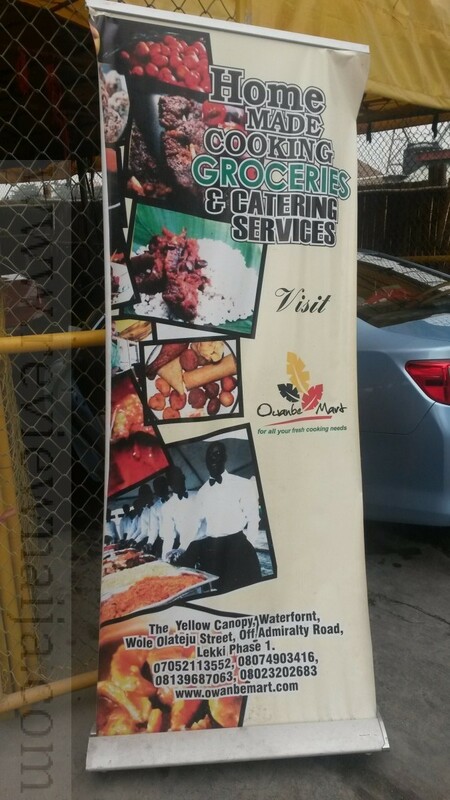 She made a very lazy effort to list out their options, but I get the sense we’d have ordered more if there was an actual listing of their food offerings…which leads me to my next point of how we figured out that Owanbe Mart offers bespoke food services. So by 1pm the puff-puff still wasn’t ready so we decided to leave and come back for it. By the time we got back, I noticed the owner was around so I went to quickly chat with her. I explained that it’d have been helpful if we had a listing of food offerings to choose from. Then she explained that they actually focus on bespoke food services. So basically, you’d call up Owanbe Mart and be like “yo, I want a pot of egwusi soup…with snails and also extra vegetables and periwinkle…extra spicy”, they’d let you know if they can handle your order, give you a quote and when you pick up your food, you pay. How cool!! Anyway, back to my point. 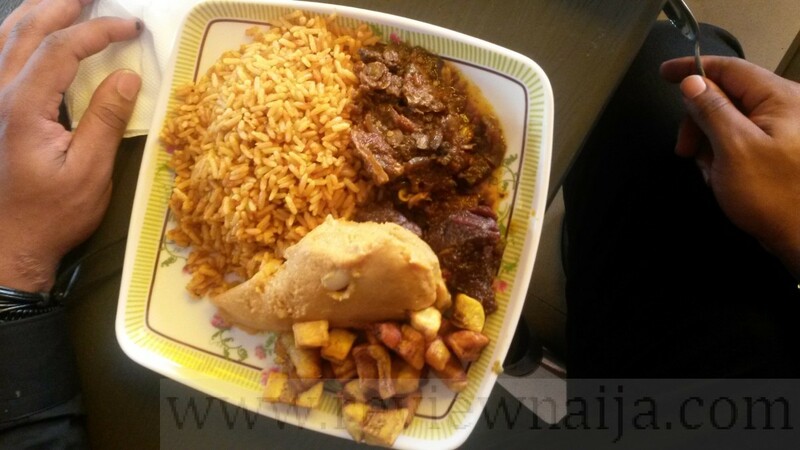 So they don’t always have the same food items available all the time as their menu options for the day depend on the food orders that need to be filled; however, I think some items are standard and usually available – jollof rice, moi moi, fried plantains, etc. 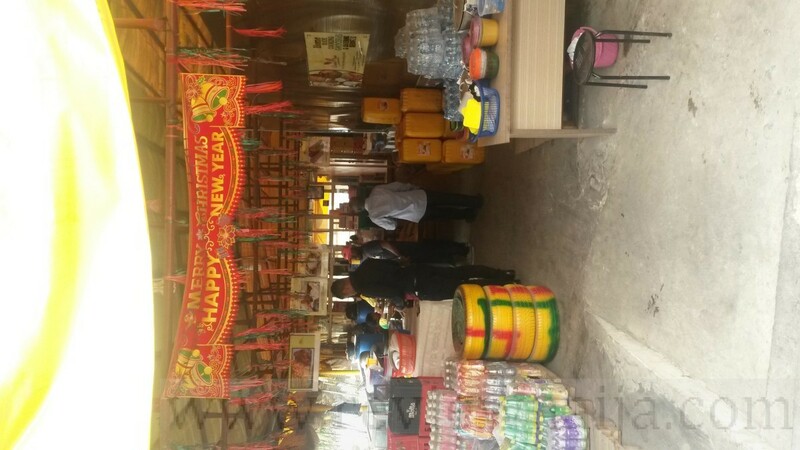 I rate my experience at Owanbe Mart a 7/10. 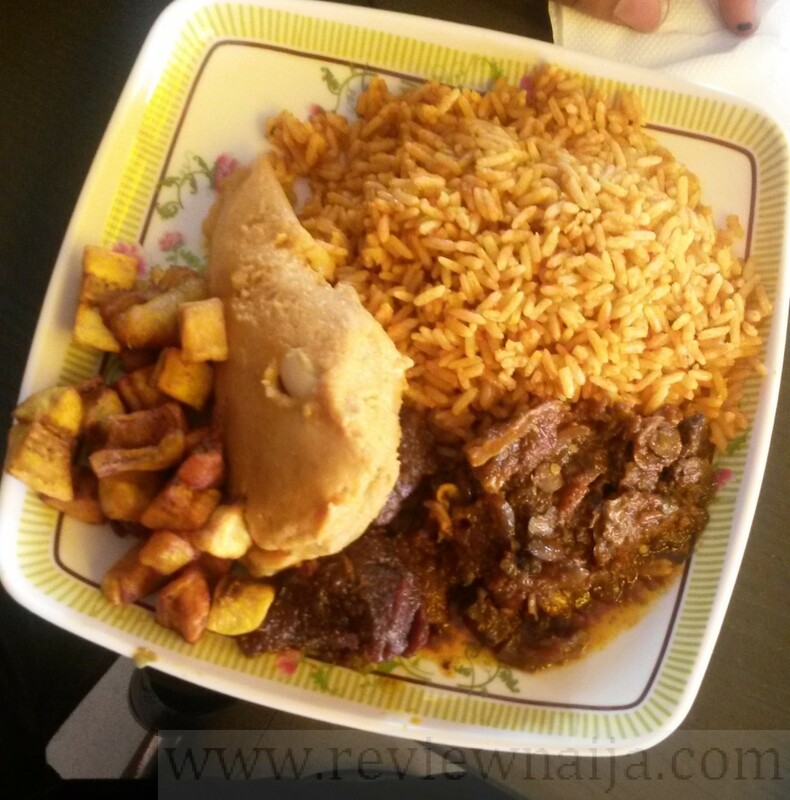 Service was just ok, but I pretty much liked everything we ordered except the jollof rice. The moi moi particularly was Delicious! I didn’t like that there were flies around the water side sitting area, and also didn’t like the cutlery was dipped in water and just on the table. I’d honestly recommend getting your food to go. Regardless, I’d probably stop by again for the puff-puff and would love to try their bespoke food service option! Freshly made small chops on sundays only! Their spring rolls are delish! Puff puff is just ok. Samosa a little too much curry but not too bad. The pricing though is unreal; puff puff and mosa cost 10 naira each, spring roll and samosa cost 50 naira each! 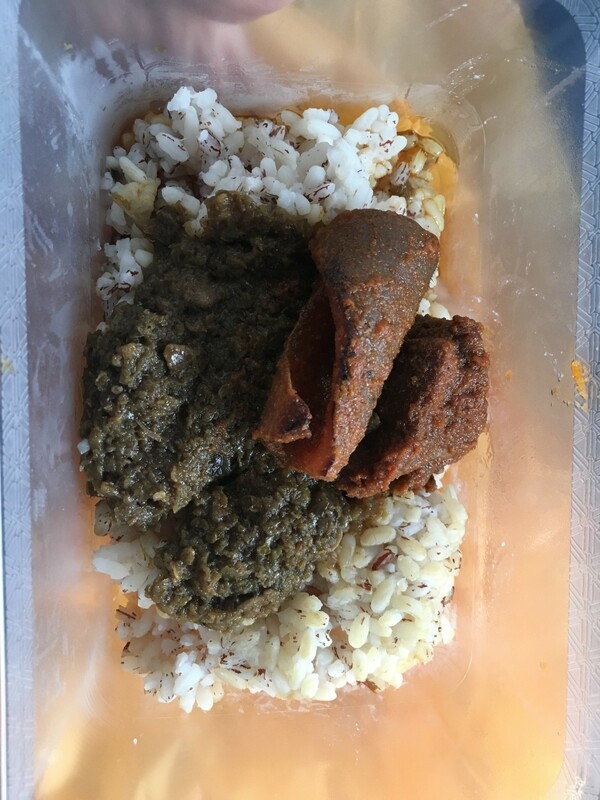 Also tried their ofada. The sauce was good, rice was ok but the meat wasn’t tender. The ponmor was but shaki and beef were tough. 200 for 1 serving of rice, 100/piece of meat, and 100 for the takeaway pack. Thoroughly enjoyed the small chops though! I shall be back…. Dear Efe G, you will be pleased to hear that we now provide a menu and price list of our items for customers. 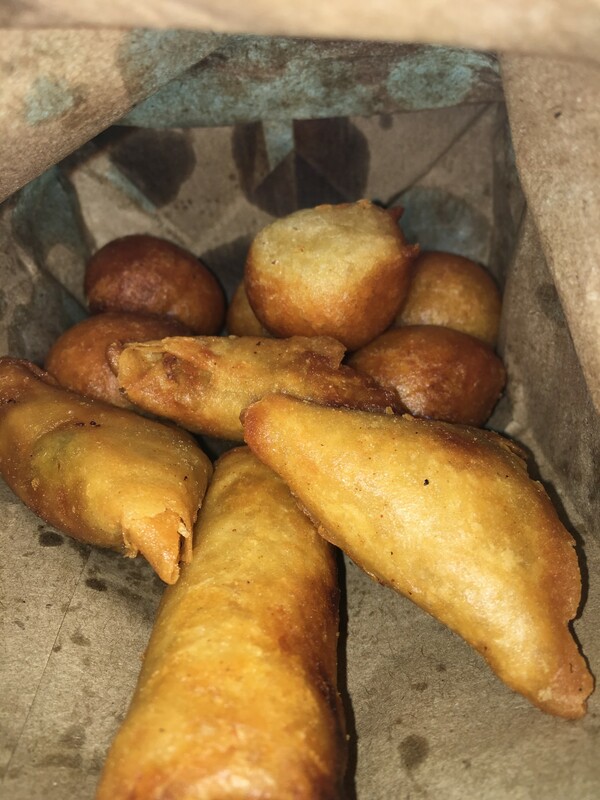 We also now have an additional frying post for the preparation of our puff puff on Sundays (making two persons) which should reduce the wait experienced by our customers. Dear Efe G, thank you for your review of my restaurant. I am pleased that we are doing some things right and we will definitely try to improve in other areas. We keep our cutlery in clean fresh water on the table for three reasons. First it keeps it clean as dust or dirt or flies do not settle on it when stored. Secondly, the customer can immediately see that the cutlery is clean as the water is clear and this removes any worry. 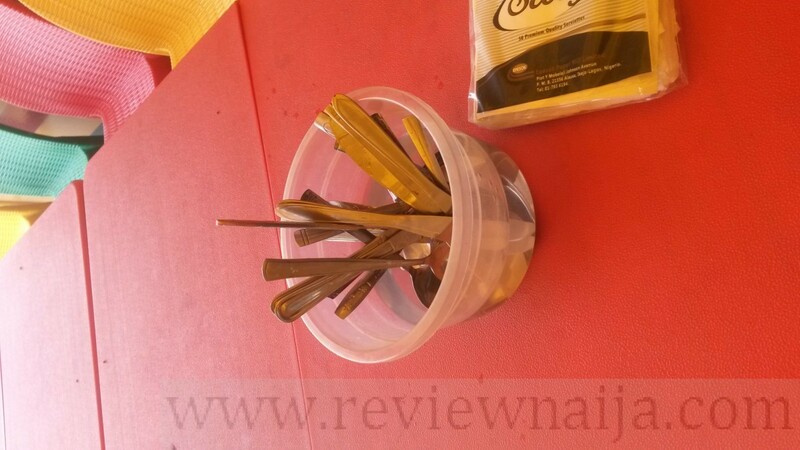 Third, the customer has immediate access to cutlery once their food is served and does not worry about where the cutlery has been stored or if it has fallen to the floor in the transfer. Thanks again. We look forward to seeing you again. Nice review… a long post also thou… wouldn’t finish reading thru. I think you should try and shorten your posts. well, i really had no clue about this joint until my friend took me on a sunday just for ‘puff puff’…but of course, seeing they had more to offer, i opted to wine and dine while the ‘puff puff’ was being prepared. in a nutshell, the food wasn’t fantastic…i have had better ‘mama put’ and wayyyyy cheaper too. 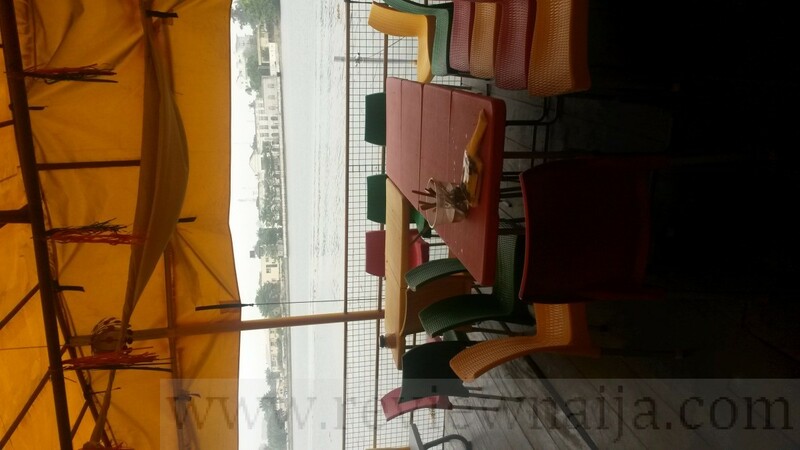 That said, if you are into places like this and you cant be bothered to drive to the mainland (Apapa, Ikeja) then this right here might suffice.